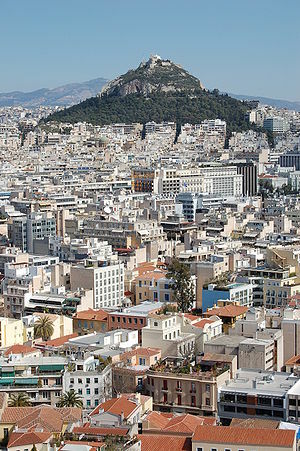 Pan Hotel is located in the main square of Athens, Syntagma. The Parliament House, the National Park, Zappion, Acropolis, Lycabettus, Plaka, with its traditional taverns and the picturesque side streets, as well as selected pedestrian shopping area surround the Hotel. Built in 1960, it has been renovated many times, in order to meet up with the expectations of the modern customer. Ioannis Panagiotopoulos came up with the idea for the Hotel. His aim was not only to serve the tourist sector, but also the Athenian business travellers, since the Hotel is surrounded by Ministries, Embassies, Banks, Post Offices, Companies, etc. Giorgos Panagiotopoulos took over the management of the hotel and continued with the renovation plans of the building in 1981 and on, marketed the Hotel in International exhibitions, and was a member of the Board of the Chamber of Greek Hoteliers, in charge of Public Relations for the Athens Hotel Association, General Secretary of the Pan-Hellenic Federation of Hoteliers, holding 23 years of active presence in the leadership of the hotel sector. The present Manager is Ismini Panagiotopoulou.